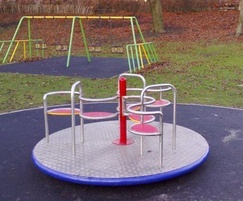 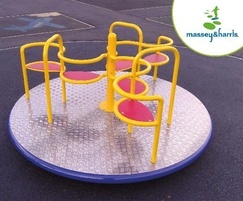 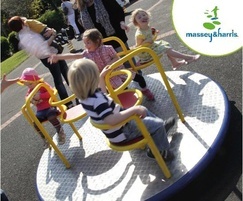 The 6-seat roundabout is 2.0m in diameter. 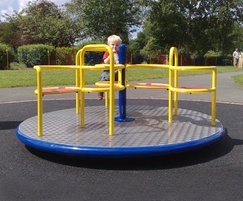 The bearing mechanism allows the roundabout to spin even a low speeds. 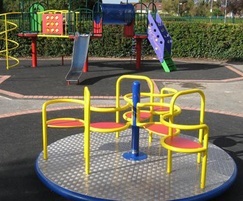 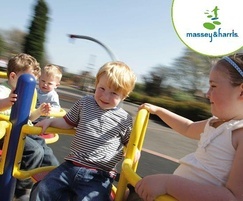 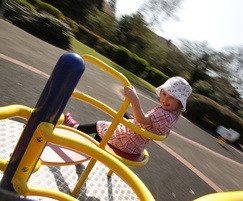 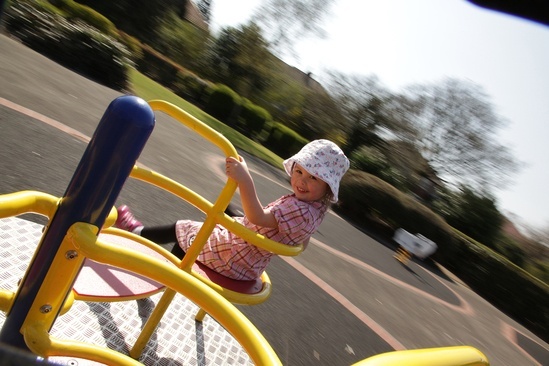 Other deck options are available, but this allows 6 young children to play together safely and the back to back seating encourages social interaction too.